RED FANG Releases Animated Video For "Not For You"
Portland rockers RED FANG have released the animated video for “Not For You”, directed by Balázs Gróf. The track is taken from the band’s latest album, “Only Ghosts”, which was released last October via Relapse. The disc was produced by Ross Robinson, who has previously worked with SLIPKNOT, SEPULTURA and KORN, among many others. The effort was recorded last year at Robinson‘s Venice, California studio. 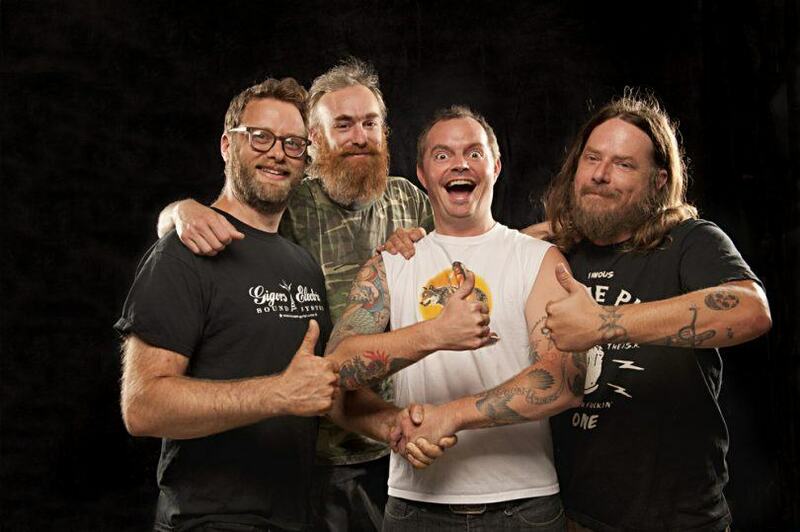 RED FANG will kick off its headline U.S. West Coast tour on October 17 in Eugene, Oregon. Support on the trek will come from ONCE & FUTURE BAND, FIREBALL MINISTRY and ALL SOULS on select dates. RED FANG will close out the year with a European tour supporting MASTODON and RUSSIAN CIRCLES through November and December. Finally, RED FANG adds to their non-stop tour schedule announcing 2018 concerts with BLACK LABEL SOCIETY and CORROSION OF CONFORMITY through January and February.